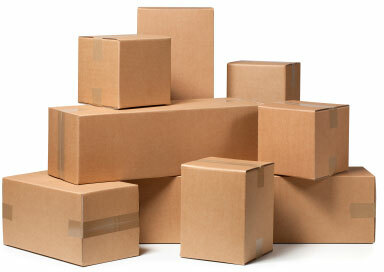 We offer the best rates in NYC for professional licensed & insured moving & packing services. Call or email us today for a free estimate. We do last minute moves. Established in 1996. 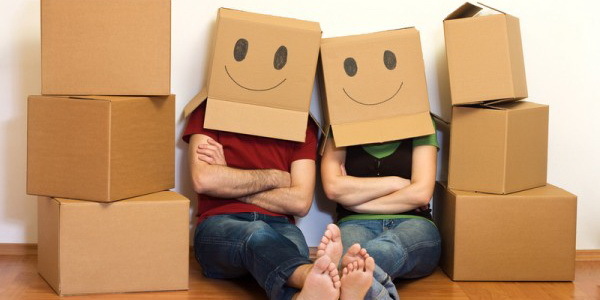 Two Brothers Moving has been providing packing and moving services to NYC and tri-state area residents for almost 20 years. Alex and his crew literally saved the day for me! I cannot give them enough positive reviews. After another moving company canceled on me the day of my move, I called Two Brothers, and they promised they would get the job done that day.Alex and his crew were excellent. They were extremely professional, efficient, and careful with all my furniture. They arrived on time and completed the move in the allotted time estimated. I cannot thank Alex and his crew enough! If you want to have a superb moving experience, call Two Brothers and ask for Alex and his crew. Alex and his team were great. They moved everything quickly, efficiently, and with care. They charged us the exact quoted amount plus a small insurance fee. Nothing was damaged and they even offered to take extra food items we were going to hand-carry ourselves. Definitely would recommend. 3 men arrived on time and completed the job in 2.5 hours. Note that your mattress needs to be wrapped in order for them to move it. I wasn't aware of this ahead of time, but it was a few dollars extra and they did a good job wrapping it up. Also, clothing and lose items must be in boxes (i.e. no crates or garbage bags). Wardrobe boxes are $17 and standard boxes were about $6 I believe. A few things to be aware of prior to!Everything was moved into my 4th floor walk up quickly. They forgot one box and returned it at 7am the next morning.One thing that bothered me about my experience was that one of the workers got injured on the job and didn't bring it to my attention. I later found blood in my bathroom on the sink, faucet, counter, door, door handle and floor. I didn't think it was appropriate to leave without notifying me. It would have been the right/respectful thing to do on his end and I could have offered him a band aid or something to help stop the bleeding! When I spoke with Michael to make him aware of the situation, he apologized and said the mover had poor eyesight and didn't realize he had been bleeding. I think the situation could have been handled differently, but at the end of the day they got the job done. I didn't enjoy my experience with the movers. Their van said Speedy Movers, but they sure took their time. Firstly, they were supposed to be at my apartment at 8AM. At 8:15AM, I was waiting for them downstairs. I called the number and a man rudely told me that they had to stop to get diesel. But if you have an 8AM appointment, why wouldn't you do that earlier? At 8:35AM, I called again and the same man told me they were on their way before hanging up on me. The men arrived just before 9AM, which already had me in a foul mood.I understand and respect that moving takes a lot of work, I understand that there's a lot of heavy lifting and they have a specific process... but the men were more than careful about being paid by the hour. They seemed to take forever just so my bill would go up. To add a cherry to it, I was charged an extra hundred dollars because somehow these professionals got a ticket while moving me out.Ultimately I could've spent the same amount of money on a more reputable moving company and have been much happier. Particularly because one of the bowls that has been in my family my whole life was not intact. I don't believe they cared about the word "fragile" and I don't believe they were worth the hundreds of dollars. I'm just glad that everything ended up at the new apartment.